Join me in my journey towards opening night as Cassie in A Chorus Line, January 7-24, 2015 at the Manatee Performing Arts Center. For the first time ever, I am documenting my behind-the-scenes journey vlog-style. To me, the process of becoming performance-ready is where all the real drama in theatre lies. And as Cassie is one of the most iconic, challenging roles in musical theatre history, I felt it was important to share what it’s like to face my own performance-demons and chronicle this journey. Each episode is super short. I hope you enjoy! Episode 1 – I take to the streets practicing choreography in work attire (and yes, some wonky smeared eye-liner). Episode 2 – The cast hits the line for the first time. Episode 3 – I start conquering my dance fears with a little help from heroic director/choreographer, Dewayne Barret. 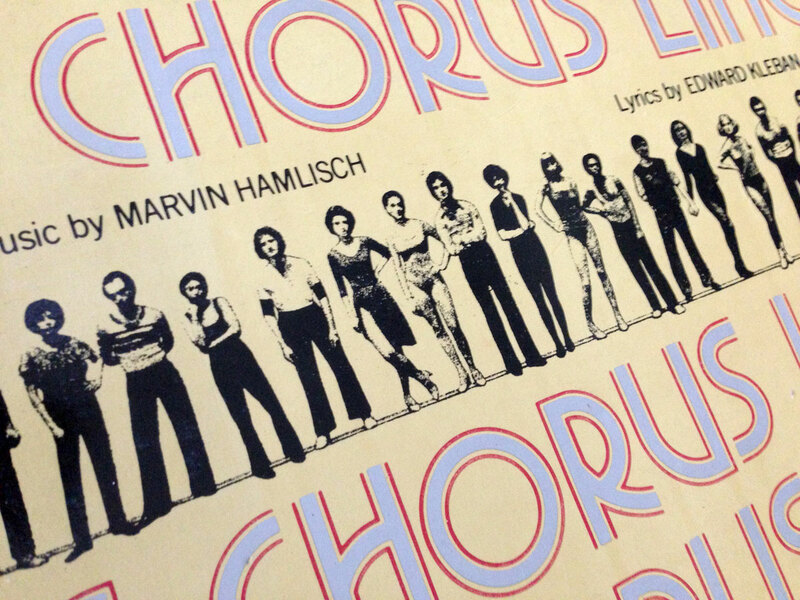 Episode 5 – There’s more to “A Chorus Line” than dancing, get a glimpse of the singing side of the line. Episode 6 – Two weeks till opening and all this dancing is really starting to hurt. Episode 7 – As I continue to work on my number I discover I’m not the only one interested in playing Cassie. 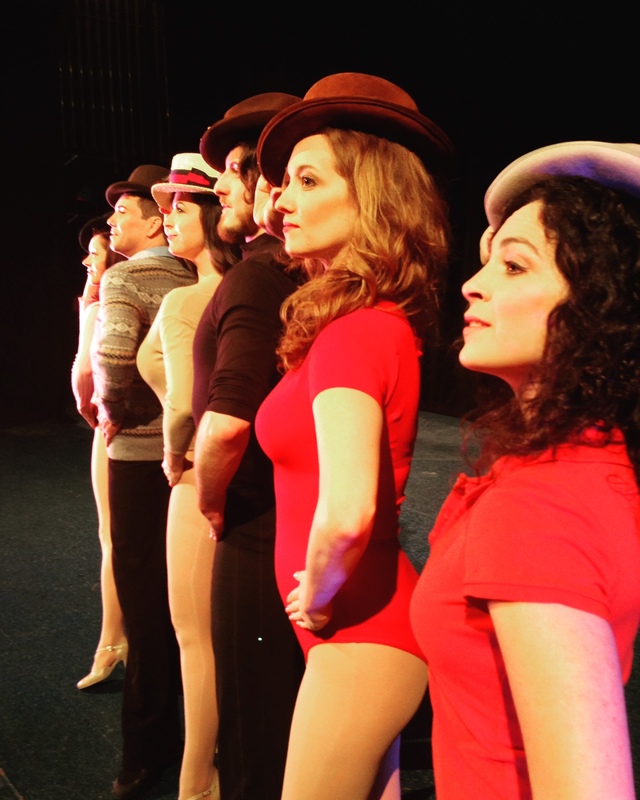 Episode 8 – From tech rehearsal to closing, the final Cassie Chronicle covers three weeks of performances and features one of the most amazing Chorus Line casts ever. Subscribe to my YouTube channel! Plus, comment below and let me know if these behind-the-scenes chronicles have shed any light on the part of theatre you typically don’t see. Manatee Performing Arts Center • The Manatee Players, Inc. Directed and choreographed by Dewayne Barrett. Musical direction by Frank Meekins. Cast includes: Kathryn Parks as Cassie Ferguson, Sarah Cassidy as Maggie Winslow, Logan Junkins as Mike Costa, Leah Woodsum as Connie Mackenzie, Will Dixon as Greg Gardner, Danae DeShazer as Sheila Bryant, Eric Berkel as Bobby Mills, Eliza Engle as Bebe Benzenheimer, Alexandra Achtenberg as Judy Turner, Tahj Malik as Richie Walters, Zachary Sutton as Al DeLuca, Rachael Nix as Kristine Ulrich, Keely Karalis as Val Clarke, Zachary Hlavac as Mark Anthony, Phil Morehouse as Paul San Marco, Melissa Ingrisano as Diana Morales, Jonah Wright as Don Kerr, Dewayne Barrett as Zach, Cheyenne Fauvel as Laura, Eliza Lipton as Tricia, Jaimi McPeek as Lois, Raven Troyer as Vicki, Jailyn Stewart as Wrong Arm, Adam LeBuffe as Headband Man, Alberto Hernandez as Tom, Johnathan Hall as Frank/Don Understudy, Joseph Rebella as Frank Understudy. 2 comments on "Cassie Chronicles: Becoming Cassie in A Chorus Line"
Thank you Eva! Always appreciate your support. The entire cast is really talented and it’s been super to work with Dewayne in this!